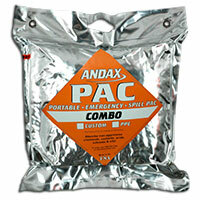 The Andax Pac™ line of complete emergency spill kits fits seamlessly into your company's SPCC plan. Great products are included in each spill kit, sealed in tamper-evident vacuum packaging that fits in out-of-the-way tight places. The Andax Pac™ requires minimal training since the integrated color-coded response system is easy to utilize. Whether you need the Andax Oil & Oil-Based Pac™ for small cleanup jobs or the Barrel Pac™ for larger jobs, Andax has the kit you need. Contact our friendly Customer Service Representatives to order or to find out how we can customize the Andax Pac™ today! Andax strives to meet every contingency in spill control. These flexible mats block spills from entering storm drains, grates, floor drains and manholes. Simply lay them over the opening and the flexible material seals without adhesives. The original Storm Drain Protector is built for more permanent, extended use. It's heavy-duty, chemical-resistant design makes it an ideal, built-to-last, spill protection solution you can reuse. 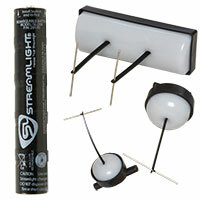 The new Storm Drain Protector II makes sealing storm drains a cinch! The flexible reversible construction makes it ideal for quick, temporary, emergency use. Its chemical-resistant composition makes it more compatible than rubber or plastic--for a wider range of chemicals and other substances. And best of all, it's reusable.